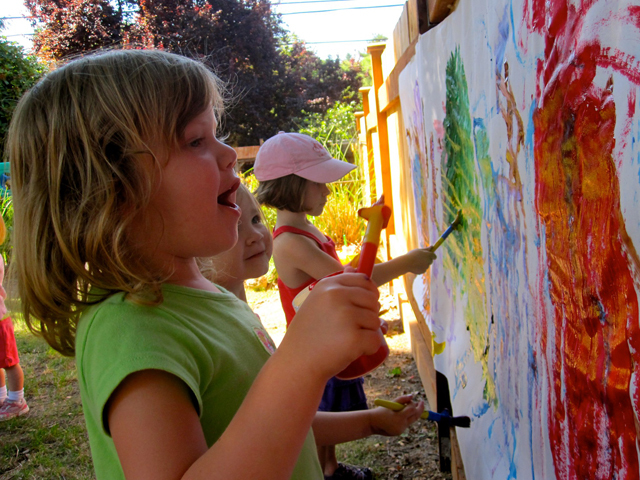 SPCDC is a small childcare center situated in a remodeled, single-family house in the Sand Point neighborhood of northeast Seattle. Established in 1986, we are a non-profit corporation with school policies set by our board of parents. We are licensed for 22 children ages 18 months to 6 years, and keep a waiting list for future openings. Due to our emphasis on low teacher-child ratios, openings are limited. What makes Sand Point Child Development Center so special is our small size and the joy of staff, children, and parents working closely with one another to create a warm environment, a community for learning to grow. If you have questions, would like more information, or would like a tour, please contact our director at 206.522.2827. SPCDC is a nonprofit organization (Federal ID: 91-1332055). Donations are tax-deductible to the full extent of the law.